Dear readers, I have a new obsession: the art of decoden. After seeing a photo of an incredibly amazing, jewel-encrusted iPhone case with a fox face on it (owned by fancy PA friend Julianna), my mind was blown, and I became entranced by blingy cell phone cases the world over. Where did Julianna get this magical case, I wondered? Naturally, I took to the internets, and stumbled upon something so awesome, of which I knew nothing: decoden. 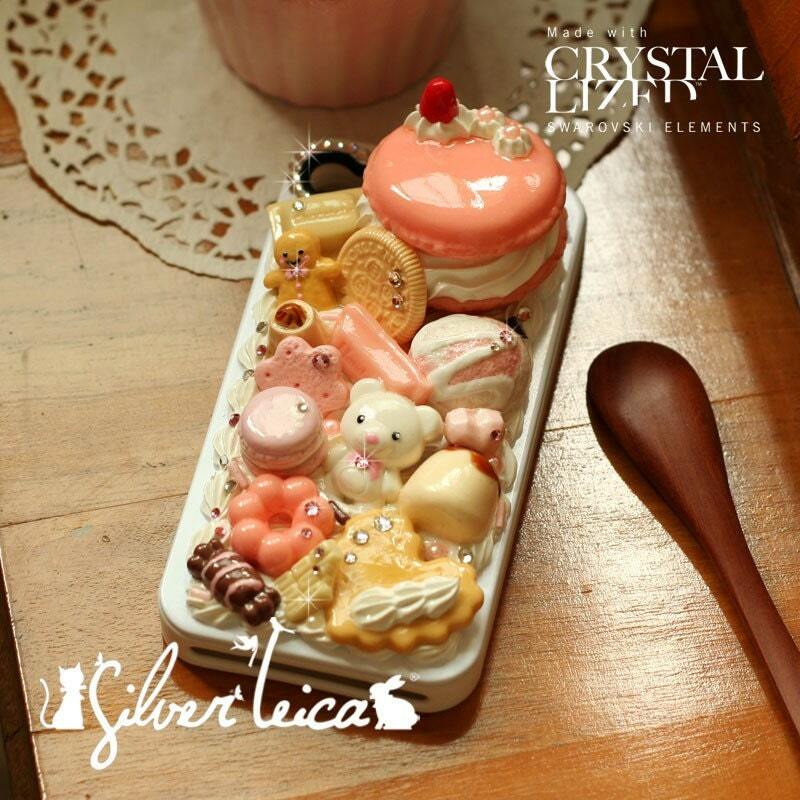 I learned from Lovelyish that decoden, originating from Japan (duh), is short for “deco” (decorated) and “den” (from “denwa”, the Japanese word for phone). I also learned that decoden is all wrapped up in the Japanese pop culture concept of kawaii, which refers to a “quality of cuteness“. And I don’t know what you would call the cell phone cases pictured above and below, if not super cute; those cases are so kawaii, it is so not funny. So if you’re into bedazzled animal prints, miniature doughnuts and macaroons, or blinged-out, 3D likenesses of Hello Kitty or Spongebob, seriously consider checking out the myriad decoden cell phone cases for sale on Etsy, or maybe even make your own fabulous creation, just like Kandee Johnson did. Your phone is really begging to be decodenned, though, isn’t it? Heed its call! The world is your bejeweled oyster. 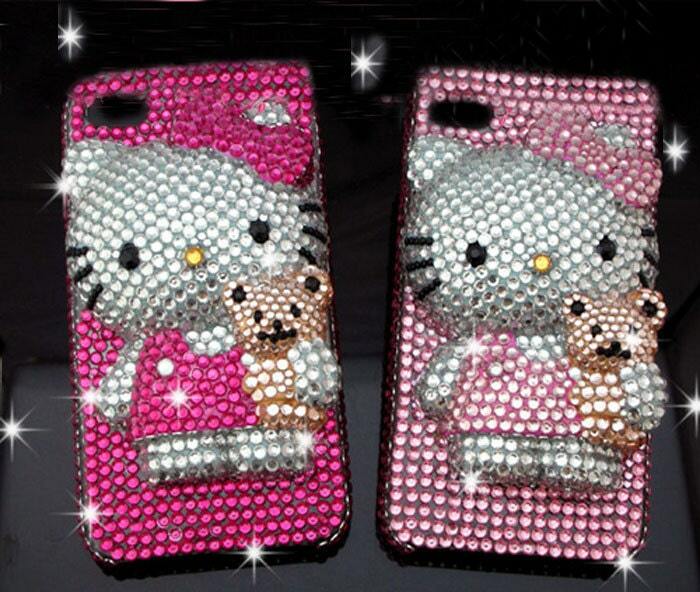 The above cases can be found on Etsy shops BlingWork, SilverLeica and lilysu. We are seriously going to decoden our phones and it will be amazing! 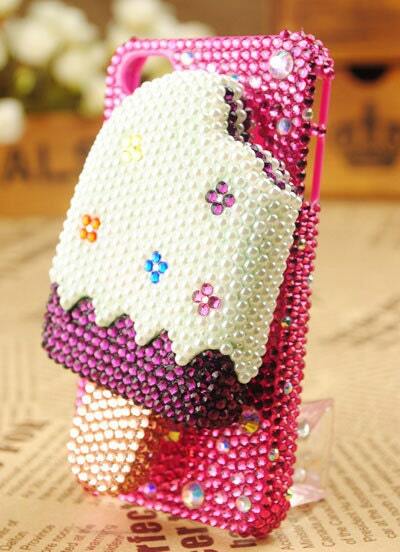 Gem-encrusted jewel phones!!! I would like to MMOD (make my own decoden).